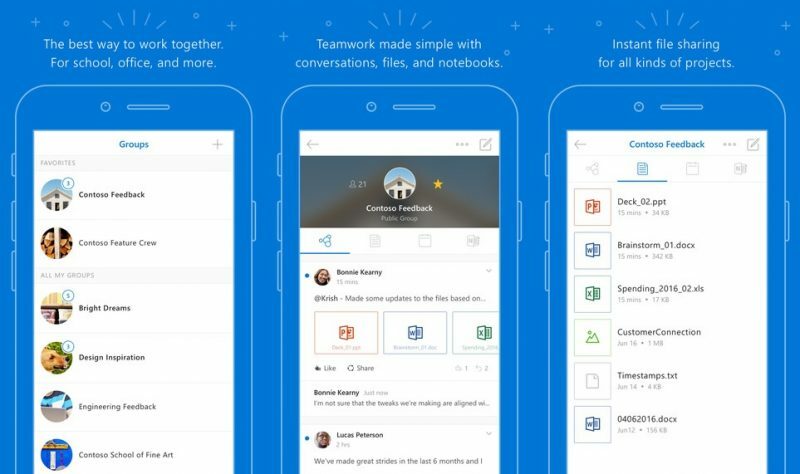 Microsoft has released a major update for its Outlook Groups iOS app that promises an improved user experience and more collaborative functions for Office 365 users. For those unfamiliar with Outlook Groups, Microsoft's relatively new service lets Office 365 work and education subscribers create public and private groups in Outlook 2016 which aim to offer several benefits over traditional distribution lists. Group members get access to shared inboxes, calendars, cloud storage and OneNote notebooks, and can participate in conversations, schedule meetings, share files and notes, and initiate Skype voice and video calls. With the addition of the Outlook Groups app, users can interact with their groups on the go via the app's shared mailbox, conversation, and collaborative note, document, and file sharing features. The new 1.10.8 update brings a "huge uplift of experiences" across the app, and now enables users to view group events, add them to their calendar, and create new events for groups. Groups can also be added to favorite lists for the first time, while notifications can be selectively muted for different groups.